Bank owned homes are residential buildings that are owned by banks. Banks generally gain ownership over a home when foreclosure occurs. When an individual purchases a home, he/she obtains a mortgage from a bank to cover the cost of a home, using the home as collateral. Subsequently, he/she must repay the mortgage through regular monthly payments. If he/she cannot meet these monthly payments, the bank is able to seize the home, and the bank obtains ownership of the property. However, this situation is not in the best interest of the bank, as it is not acquiring the money that it lent the previous home owner in the home mortgage. Therefore, the bank will seek to quickly sell the home at a low price, so that it can recover the money that it is in danger of losing. Due to the condition of today's economy, there are many bank owned homes for sale throughout the United States. While this is unfortunate for banks, it can be very advantageous for potential home owners. 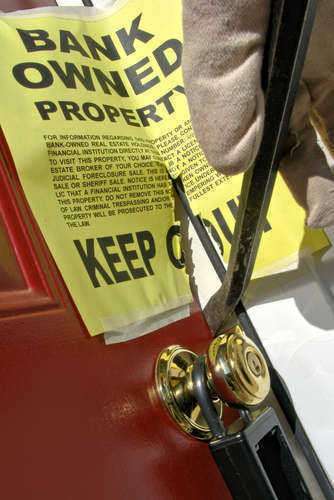 Many of the bank foreclosed homes for sale are listed at very low prices. An individual can easily locate a foreclosed home for under $200,000, and can find homes for under $100,000, in desirable locations. If an individual is looking for an affordable home, he/she should look at some of the bank owned homes for sale. These homes are often in great condition, and provide individuals with the opportunity to obtain a suitable home for a low price.